TASK 1 � Don�t or doesn�t? Choose the correct one. 1)����� Mary don'tdoesn't travel to <?xml:namespace prefix = st1 ns = "urn:schemas-microsoft-com:office:smarttags" />France. 2)����� We don'tdoesn't write an essay every day. 3)����� My mum don'tdoesn't sell flowers. 4)����� Peter and Sam don'tdoesn't fish. 5)����� I don'tdoesn't talk to him about love. 6)����� Kim don'tdoesn't usually sit next to Mike. 7)����� You don'tdoesn't build houses. 8)����� Lilith don'tdoesn't teach Jim. 9)����� They don'tdoesn't forget my birthday. 10)����� The train don'tdoesn't arrive in time. 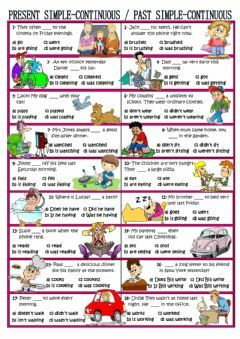 11)����� Susie and you don'tdoesn't go to the shop. 12)����� The child don'tdoesn't smile at Luke. 13)����� My family don'tdoesn't spend money on silly things. 14)����� Jake don'tdoesn't pick up the litter. 15)����� Ben and I don'tdoesn't collect stickers. 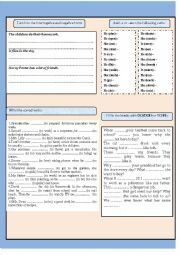 Task 2 � Write the correct negative forms of the verbs in the brackets in the boxes. 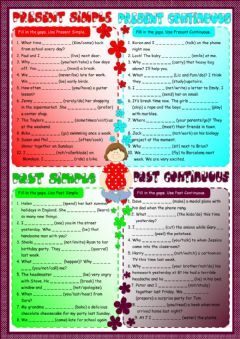 Use the short forms as in the example. 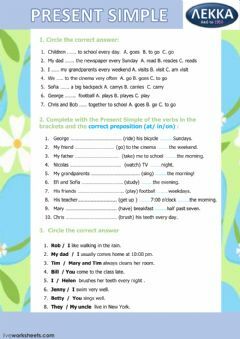 1)����� Jack�s father (to drink) alcohol. 2)����� I am short. I� (to play) basketball. 3)����� It� (to rain) a lot in the Sahara. 4)����� You� (to get up) at 6 o�clock in the morning. 5)����� The Rosins� (to check) the doors. 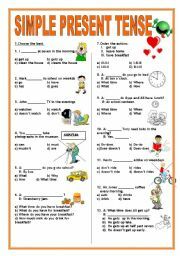 6)����� Mrs Morris� (to buy) unnecessary food. 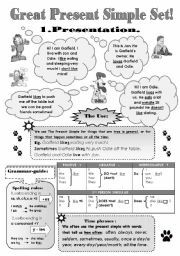 8)����� Josh and Danny� (to do) maths homework. 9)����� Sarah� (to know) my telephone number. 10)����� I� (to laugh) at Phil. 11)����� Mr Robins� (to water) the plants in his office. 12)����� You (to live) in Mexico. 13)����� Mary� (to love) Mark. 14)����� They (to call) Greg. 15)����� The students (to stand up) when the teacher comes in. 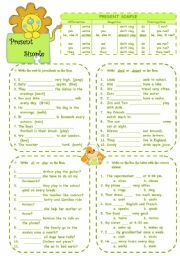 Task 3 � Write the correct forms of the verbs in the brackets in the boxes. 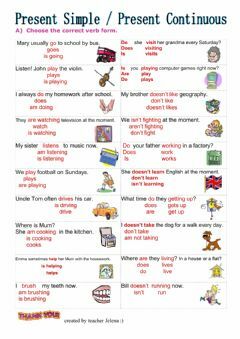 Then rewrite the sentences into negative. 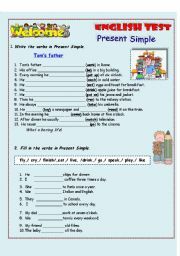 Use the short forms as in the example. Look at the example below. e.g. : I ____ to school . 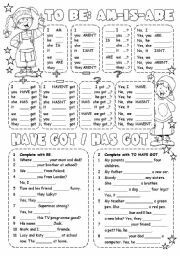 (to go) go / I don�t go to school early. 2)����� The students (to listen) to the teacher. 3)����� My class (to make) an excursion in May. 4)����� We (to decorate) the Christmas tree at Christmas. 5)����� I (to lock) the door of my office after work. 6)����� Phil� (to arrive) home at 5. 7)����� You (to sleep) ten hours. 8)����� We (to wear) a school uniform. 9)����� Linda (to lie) in the sun in summer. 10)����� Lisa and Frank (to meet) their friends after school.